This might be the best Kings Beach family accommodation around. 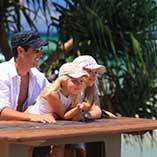 Burgess @ Kings Beach fully self contained holiday apartments come in two and (mainly) three bedroom options. Here your tribe will have all the room they could possibly want in these capacious and roomy apartments. 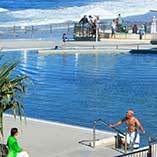 There are plenty of recreational facilities at the Burgess @ Kings Beach to keep everyone entertained too. With the pool area also containing a spa and BBQ, it becomes a popular evening spot. There’s also a tennis court available too. The main drawcard is however, Kings Beach. 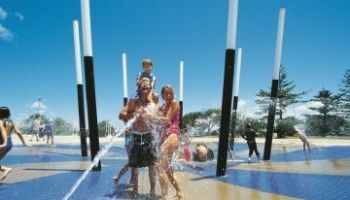 The Kings Beach recreational facilities are renowned throughout the Sunshine Coast, and rightly so. At just a couple of minutes to walk to the Kings Beach, and with the Salt Water Pools and the water playground nearby, the Burgess @ Kings Beach has the perfect holiday location. Won’t be short on dining options either, whether it’s during the day or in the evening. There are several cafes and restaurants close to the beach, and there’s also the Caloundra Surf Life Saving Club that’s open for a cold drink. 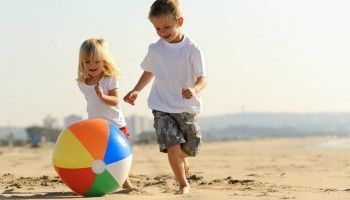 It’s easy to stay local at the Burgess @Kings Beach, but equally, Caloundra is very accessible to the popular Sunshine Coast attractions such as Australia Zoo in Beerwah, and the Big Pineapple in Nambour. 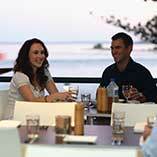 Both trips take about half an hours easy drive from these holiday apartments at Kings Beach Caloundra. There is heaps to see at the Big Pineapple with fun displays, tours and rides around the Big Pineapple complex and Saturday Markets. Just the place to double down on some of the Sunshine Coasts best freshest produce and small goods. A trip to the Sunshine Coast is not complete without a visit to Australia Zoo. Just make sure you reserve a day or two . With so many wild animal encounters and activities to experience a day is hardly enough to fit it all in. You can buy your tickets at our onsite tour desk to spare queuing at the gate. 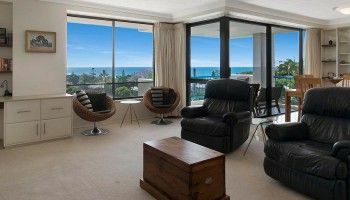 So go on, check-in to the best Kings Beach family accommodation around — Burgess @ Kings Beach, fantastic holiday apartments at Kings Beach Caloundra. It might be one of the best decisions you make for the holiday season.